It has been already far too long since the final IndyCar race of the 2013 season. Let alone, how long it has been since I have written about the series. So now I sit here in the Poconos, we missed yet another major snow storm–but the extreme cold has yet to miss us this off season. It is just two above zero Fahrenheit as I write this first installment of 2014. The temperature outside is not the only thing getting ice cold. National marketing is bit on the polar side as well for IndyCar. 2013 was a great season for racing–arguably the best on-track product North American open-wheel racing has seen in almost two decades. The Triple-Crown and Pocono Raceway returned. We saw an incredible number of winners on the season. Most races were of high competitive quality. Yet, outside of Indiana–who even knows IndyCar exists? That is a growing problem for IndyCar. They have great racing, some of their stars are so great right now. Why is Scott Dixon an obscure figure in sports? This guy should be more famous than at least Paul Menard if not AS famous as Brad Keselowski, Clint Dempsey, and Chase Utley. Yet, the former Indy 500 champion, and three time and defending IndyCar series champion is less famous than: Todd Marinovich, Ryan Leaf, Gregg Jefferies, Bobby Bonilla, Jeremy Mayfield, Sean Avery, and Steve Bartman. At least all of them got a fair amount of publicity for as bad as they all were in someway. Sadly, the New Zealand champion is just marginally more famous in America than Shawn Bradley (1993 NBA bust with Philadelphia). That guy was just horrible, and yet the average sports fan will have to think as hard for his name, as a defending champion. Let’s see them struggle to think of Jeff Gordon–they won’t. They don’t have to be NASCAR fans to know his face. When I hosted Sports Overnight America on an interim basis over four years ago–I heard one fan still refer to IndyCar being split. And many other sports fans will say to me, “IndyCar, they use to be two leagues, right?”. Usually after I tell them correct I get the follow up, “Why would a league split in half?”. There has never been a good answer for that beyond some tirade of obscenities. All these years later, and the damage remains. Talk about “branding”. IndyCar in all of this has been happy to be the most popular series in Indiana. Hey, I love my friends and fans in Indiana. It is a great state. IMS, is a really special place. I get it. But, the marketing has become that of a regional short track series. Major leagues produce a video game sometime in a decade. Heck. Over the last decade, the Arena Football League produced not one, but two video games for home consoles. That is essentially a minor league. Granted, they have not released a new game since 2008–that is still more recent than IndyCar. Now, I know the knee-jerk reaction of the open wheel insiders who live in a world of big bucks and technology. They will point to iRacing. But I hate to be the bearer of real news here–but gaming computers, ain’t cheap. The average household does not own a gaming computer. And, for those who do, they often are more into things like that World of Warcraft garbage (I had a former roommate who was outright addicted to that game. I never got that). Meanwhile over the last decade, EA sports has had a brand that arguably is now second only to Madden in U.S. sales, and leads their world sales–FIFA. Yes, I get why it is their top brand in the rest of the world, but it beats many other game titles in the U.S. where “soccer” as we call it, is a “lower sport”. That game, along with great marketing has made the Barclay’s Premier League, a major brand in America. To the point games from England can be easily viewed live on U.S. network TV. LIVE! Why the BPL and not the MLS? Easy, good marketing. Looking to make a brand bigger, not settling for niche. There was a time that people actually looked beyond the state lines of Indiana for Indycar. Beyond the mid-west. I get annoyed when I see the best spin that can be found is how awesome IndyCar did in the Indianapolis media market. That is not America’s top market. Heck, when they came to Pocono they were two hours away from Philadelphia and New York City–two of America’s five largest markets. But the marketing from the series was low. Do you expect every venue to bend over backwards for a series that brags about less than 40,000 fans were at an event? (Pocono looked to be at 45K-55K). A sport twenty years ago that could draw 80,000 to 100,000 fans to an oval not named IMS. Well, that sort of stuff is not good. Just let IndyCar de-evolve to a regional series. Soon, you can battle ARCA for coverage by major media outlets if you stay this course. 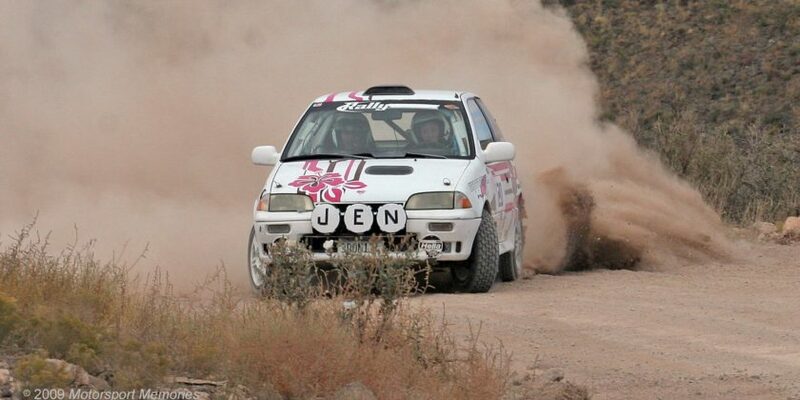 Maybe even struggle with USAC Silver Crown and USAR for coverage. Who cares, it will be the top sporting event in Indiana ratings–as long as we never try to compete with the Colts. Who needs a long schedule, someone should fill that void of a single digit schedule IROC left behind. Obviously I’m being overly sarcastic. I don’t believe that. But the board seems to feel just that way. Maybe I would too, if a series was my hobby, and my wealth came from an entirely different product. But for the people who work in and around the series (including the media relations staff). Those who cover it for a living, the few who remain paid to cover this series. As well as those who run and work for the few venues left–they all deserve better. FAR BETTER!!! Howard Schultz ran an egotistical brand style at one point. Starbucks was too big, and too popular to need to advertise. The masses will always come. Well, that ended. No marketing resulted in less stores, and more unemployed. That is the direction this lack of interest in re-branding, re-building, and promoting will bring. Already the few who make a living covering the sport have to find other gigs. This IROC-ish schedule is weak to say the least. How long will anyone want to toss money away in a series that shows no interest in growing? No interest in being seen. Did the people at IndyCar miss a thing that was once huge and now a shell of itself called, “SCCA Pro-Racing”? Now it is amateur racing with a purse. That is what no promotion outside of Indiana will do to a sport experiencing a great period of racing. 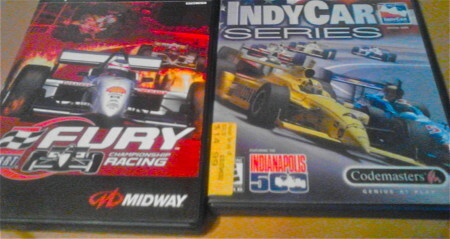 These are the last two modern IndyCar games for home consoles over the past 15 years. There should be interest in releasing a CONTEMPORARY racing game at some point during eleven years. That will grow interest in teens through thirty somethings. That Wii game was anything but promoting a series. It promoted one race, and over four decades ago. I mean really, front engine roadsters will grow the brand today? Who thought this? IndyCar has a channel on Sirius/XM. They have no content beyond the dwindling number of races. If an IndyCar race happens, will anyone really see or hear it? At this rate of no marketing, the answer is, what IndyCar series? IndyCar is featured in the new XboxOne game Forza 5, the teams are limited, only Ryan Hunter-Reay, Scott Dixon, Dario Franchitti and Graham Rahal are featured and the only actual track that IndyCar runs on is IMS, but it’s at least a start. There are also fan made downloadable paint schemes up now (for free) of just about the entire field. people need to look back and remember what made them an indycar fan, and realize that with very few minor exceptions, all of those things are gone, and the efforts to bring them back are minimal at best… the fact that the simraceway deal was enough to get us excited should be profoundly worrying to every indycar fan. 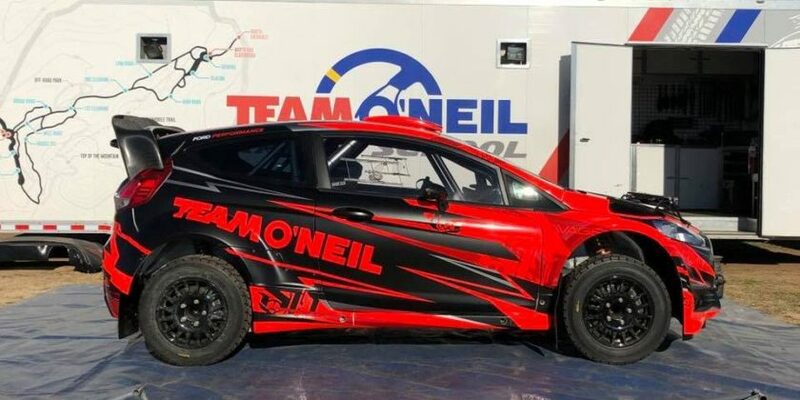 the biggest issue with indy type cars is very simple in my mind, When i think of indy cars I think of Rich boys with toys while when I think of NASCAR i think of Red necks and hard working guys driving cars that look similar to what I see on the road. True or not true that’s how they are perceived. Indy cars used to be this way, look back to the golden age of Indy cars, when seat-belts and roll bars where considered not manly and drivers where regular guys. Scott Dixon may be that kind of a guy but I don’t think the general public sees him like that and that’s on the governing body to promote their drivers in a way which the general public receives them as a likable relatively normal person. I’m really into F1 2013 from Codemasters and had F1 2012 last year. 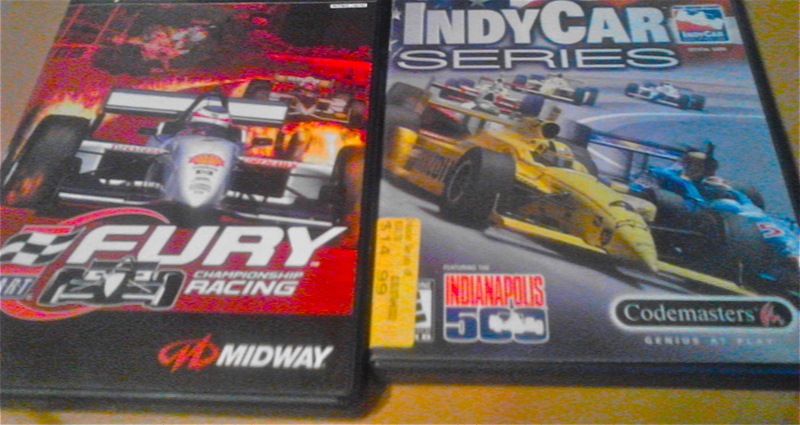 I was really into Indycar Racing II from Papyrus and had all the modifications one could get for that game. I’ve noticed online racing games such as iRacing, Rfactor, Sim Racing, and several others now have premium downloadable content as their model, and that is how most of these games allow you to race the DW12. If Indycar really wanted to build their audience through video games, they need to find one game that truly represents that car and series and hold an online series with some big money behind it.